On April 5th 2017 I lost my wallet. I am pretty sure it fell out, after quickly stuffing it in my front pocket. I didn't recover it, despite realising my wallet fell out minutes later. Singapore police were not interested since I wasn't too sure it was stolen. My local condo security was its usual incompetent self despite having a camera trained on the gate where my wallet fell out. The wallet had about 200SGD in it, which is almost half the monthly salary of a worker, so I am going to guess this opportunistic crime was just too tempting for someone. Btw I not 100% sure I had a business card in there, but if you Google "Kai Hendry"... you will find me. Cash ... I actually usually carry MYR and SGD in cash since I am often in Malaysia. I sometimes carry business cards but I often give them out at various Singaporean meetups and quickly exhaust them. Sidenote: The last four digits of my Visa updated overnight from 1753 to replacement 6041 in my Apple wallet after I reported my previous Visa as lost. HOW COOL IS THAT?! With my OCBC Visa in my Apple Pay wallet, I don't have to carry the OCBC ATM card unless I need to withdraw cash. 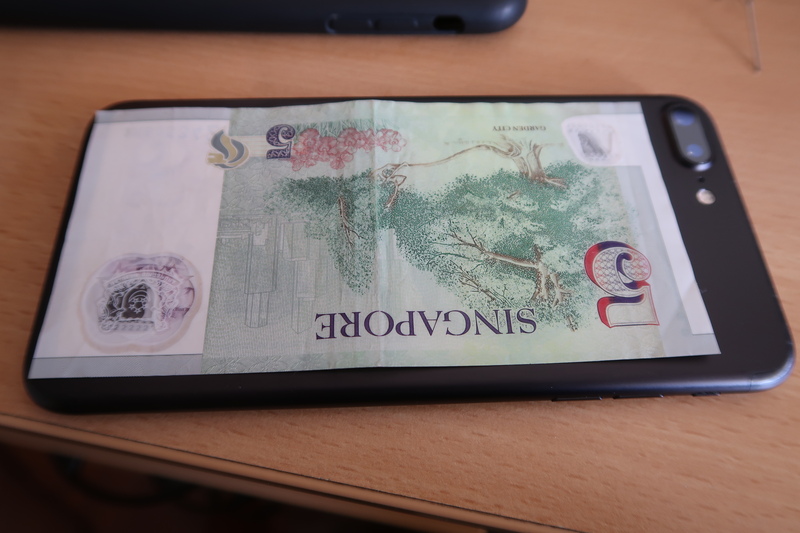 As for cash, I keep it at the back of my phone inside my iPhone 7+ Quadlock case. 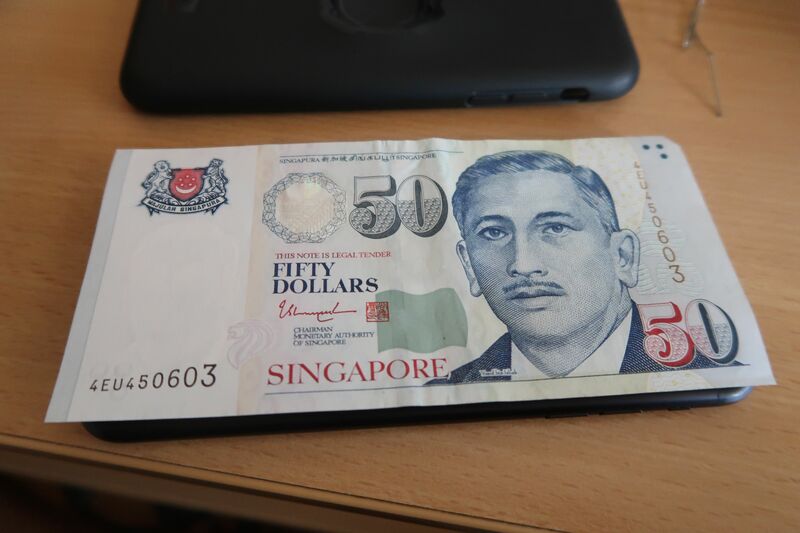 However the issue with this is that 50SGD notes does not fit!! Even the 10SGD almost goes over the camera. So I am left carrying the smaller 2SGD & 5SGD notes. The Ezlink... I've yet to transfer an Ezlink chip to my iPhone case. I am plucking up the courage. It doesn't seem very easy. As for the condo card, I am looking for a small RFID card, small enough of course to fit underneath my quadlock case. No wallet in my back pocket! One less thing to worry about it! Impossible to withdraw cash since I wouldn't carry the ATM card with this setup UOB do this! I could try this Quadlock case converter to relieve the pressure of cards, but obviously when I am on my bike I want that socket back. Not having cash in Singapore is a significant problem. Cashless payments do feel only limited to big business who can afford the expensive (and time consuming) PDQ fees. In South Africa I noticed the cashless SnapScan & Zapper Apps (where you pay by QR code) used be small businesses... I wonder when they will hit Singapore?! Don't get me wrong, I don't want to completely depend on Apple!